7.30 pm on Tuesday 1st May at the Gluck Studio in Steyning. Join us for a very special evening as American writer Justin Hopper is joined by folk musician Sharron Kraus and special guests Geraldine Mitchell and Peter Pick, to perform a collaborative composition inspired by Chanctonbury Ring and the Downs around Steyning. The performance combines readings from Hopper’s book ‘The Old Weird Albion’, a haunting work of psycho-geography tracing myths, memories and forgotten histories from Winchester to Beachy Head, with new folk compositions written and performed by Kraus on recorders, voice, synths and percussion. Besides performing collaboratively, there will be short performances from Hopper and Kraus individually, as well as pieces from Sussex musician Peter Pick, and the first-ever UK reading by Irish poet Geraldine Mitchell. Tickets, priced £8, are available at the shop or can be reserved by phoning us on 01903 812062. Tickets include wine/soft drinks, nibbles, and a £3 off voucher towards a copy of ‘The Old Weird Albion’. 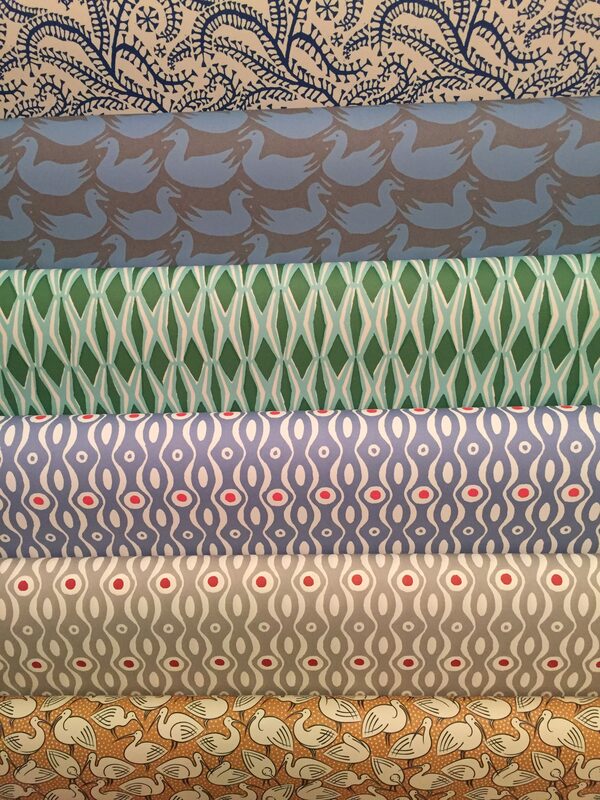 Justin Hopper is an American writer of landscape, memory and myth, whose childhood visits to his grandmother’s home in Steyning inspired his life-long love of the South Downs. His journalism, poetry, audio projects and curated exhibitions have appeared in both his native USA and adopted UK home. He now lives in Constable Country with his partner and their son. 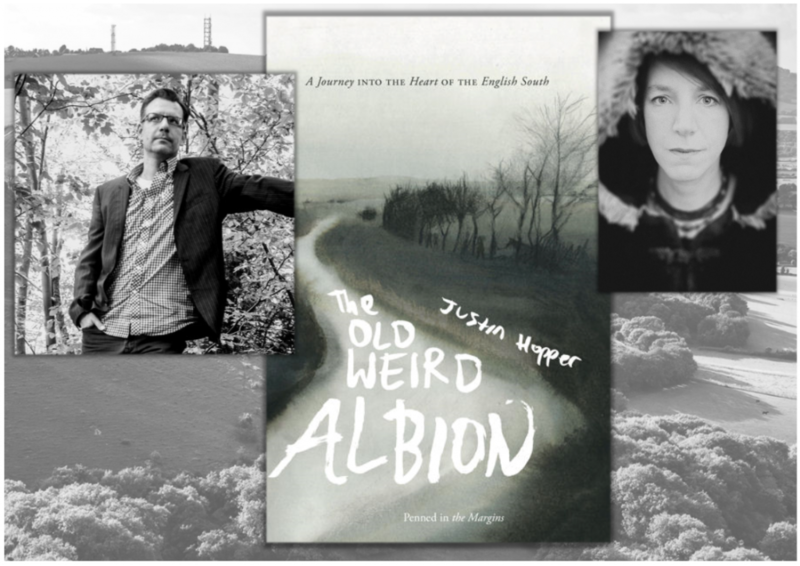 His book ‘The Old Weird Albion’ is a lyrical and beautifully-written psycho-geographical memoir, charting Justin’s journeys amongst the South Downs, meeting New Age eccentrics, scholars, artists and folk historians in his search for forgotten myths and overlooked histories along the South Downs Way. Sharron Kraus is a singer of folk songs, a songwriter and multi-instrumentalist whose solo work and collaborations offer a dark and subversive take on traditional folk music. As well as drawing on the folk traditions of England and Appalachia, her music is influenced by gothic literature, surrealism, myth and magick. She has released 6 albums and has been featured in The Wire, fRoots, and Uncut. She has also appeared on Radio 3’s ‘The Verb’, and recorded sessions for BBC Radio Scotland, BBC Radio Shropshire, and Freakzone on Radio 6.